THR reported that this comment received massive audience applause. 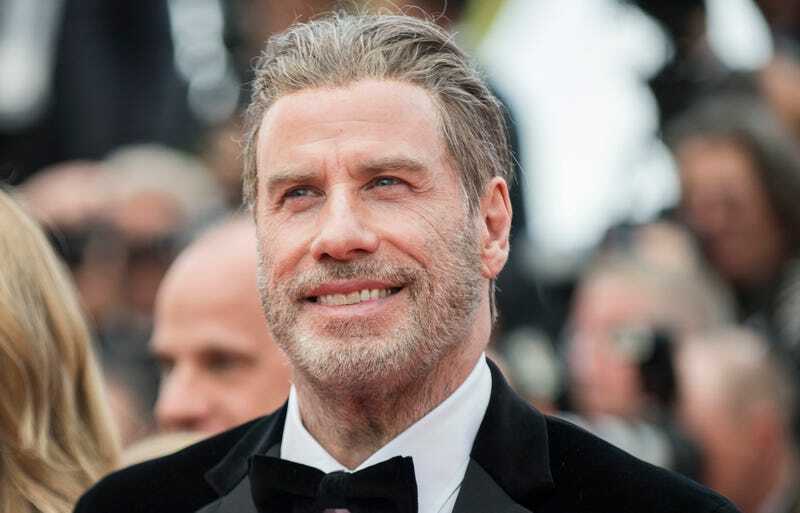 The Los Angeles Times’ Amy Kaufman elaborated on Twitter that Travolta said he doesn’t think a lot about gender and race because of that whole “citizen of the world” thing. His thoughts on Battlefield Earth and Picasso also gave me pause. It’s a pretty dumb opinion! How do I feel about it? On the one hand, it’s right to expect that the most famous among us wouldn’t harbor post-racial delusions no matter how cut off from reality, insulated by money, and into Scientology they might be; on the other hand, you asked for it. I don’t like to think about whatever he said here too much, but “it’s a dwindling spiral out there” seems…correct. There were no follow-up questions. See, this is what happens when you don’t know much about stuff, or try to.